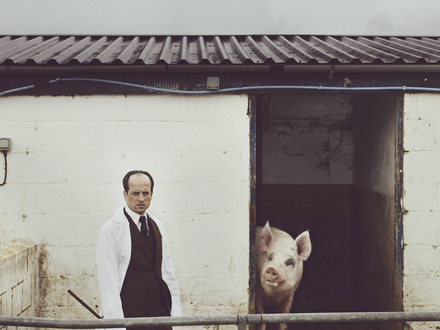 British musician MATTHEW HERBERT is a brilliant and multi-talented electronic jazz artist, shifting from the exotic to the familiar with fascinating ease. In this his North American premiere, he'll be performing PLAT DU JOUR, a sonic and visual experience focusing on, well, food. During the last several editions of MUTEK, Montrealers have enjoyed the opportunity to familiarize themselves with different facets of his genius. A showman of the highest order, Herbert appears not only with his musicians, but with a chef, as well, de-constructing sounds and odors on stage to remind us of our daily relationship with food. Get set for a night of surprises.